Prior review itself is a form of prior restraint. It inevitably leads the reviewer to censor and student journalists to self-censor in an effort to assure approval. An officially designated adviser, when working with students and offering suggestions for improvement as part of the coaching and learning process, who reads or views student media content before publication is not engaged in prior review. However, when an adviser requires pre-distribution changes over the objections of student editors, his/her actions then become prior restraint. This state legislation does not prevent prior review. However, every major journalism education organization have spoken against it, saying it has no educational value and is only the first step toward censorship. Prior restraint occurs when school officials – often after they have read material (prior review) – do something to inhibit, ban or restrain its publication. Prior restraint prevents a complete and often factual story or set of facts from being told. A public forum is created when school officials have “by policy or by practice” opened a publication for use by students to engage in their own free expression. In the Hazelwood decision, the Court said it believed both the policy and practice at Hazelwood East High School reflected school officials’ intent to exercise complete control over the student newspaper’s content. That finding prompted the Court to say a designated public forum did not exist. Nevertheless, student publications at other schools with different policies and different practices relating to editorial control can be public forums. Where student editors have been given final authority over content decisions in their publications or where a school policy explicitly describes a student publication as a designated public forum, the Tinker standard will still apply. Public forums by policy: An official school policy exists that designates student editors, within clearly defined limitations (no libel, obscenity, etc. ), as the ultimate authority for determining content. (A publication’s own editorial policy does not count as an official school policy unless some school official has formally endorsed it.) School administrators practice this policy by exercising a hands-off role and empowering student editors to lead. Advisers teach and offer students advice, but they neither control nor make final decisions regarding content. Administrators like to talk of responsible or accountable student media. We agree, but want to couch the terms this way: journalistic responsibility. Journalistic responsibility includes accuracy, context, completeness and verification. Your first responsibility, as student journalists, is to present truth as best you can find it to your various communities in such a way that empowers them to make effective decisions that enhance democracy. Such a definition precludes prior review, prior restraint and other limitations that would distort or render student reporting inaccurate or inaccurate. Codes of ethics are recommended journalistic guidelines. As such they propose journalistic practices akin to professional standards. But, they are not requirements. No professional journalism organization forces its members or practitioners to adhere or to follow them. 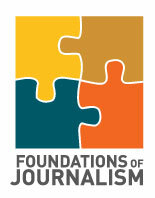 JEA’s Adviser Code of Ethics establishes Best Practices for teaching and advising journalism and student media. NSPA’s Student Code of Ethics is but one model code for students. Another, used by many student media as a model is the Society of Professional Journalists Code of Ethics. JEA recommends establishing a board -level editorial policy, media mission statement, media-level policy, media codes of ethics for students with a strong staff manual on the processes students will use to practice ethical guidelines. The policy statements should show student media as designated public forums for student expression where students make all final decisions of content without prior review. For detailed information on wording and process for these guidelines, go to the SPRC’s Foundations package. Tinker: The Tinker Standard (1969) protects student speech unless it is libelous, an invasion of privacy or creates a “clear and present danger” or a “material and substantial disruption” of the school. Hazelwood: The Hazelwood decision (1988) allowed administrators to easily justify censorship of legitimate speech in curricular settings. The following states have this protection. Click on each state to see their law. Libel: Any published communication – words, photos, pictures, symbols – that falsely harms a person’s reputation. Libel is written; slander is spoken defamation. A five of these elements must be present for there to be libel: publication, identification, harm, falsity and fault. Provable truth is an absolute defense against libel. Material and substantial disruption: The Tinker standard. Claims of material and substantial disruption must have factual support, which can include “reasonable forecast” of disruption “Undifferentiated fear or apprehension of disturbance” or a “mere desire” to avoid unpopular views does not qualify. Sometimes referred to as “clear and present danger” in legislation. • Student media adviser: An individual employed, appointed or designated by a school district to supervise or provide instruction relating to school-sponsored media.